We’ve been preparing for two international trips so far this year. At the moment, we’re in Singapore for four days as a family, and then in February, I am solo travelling to Istanbul for a week. 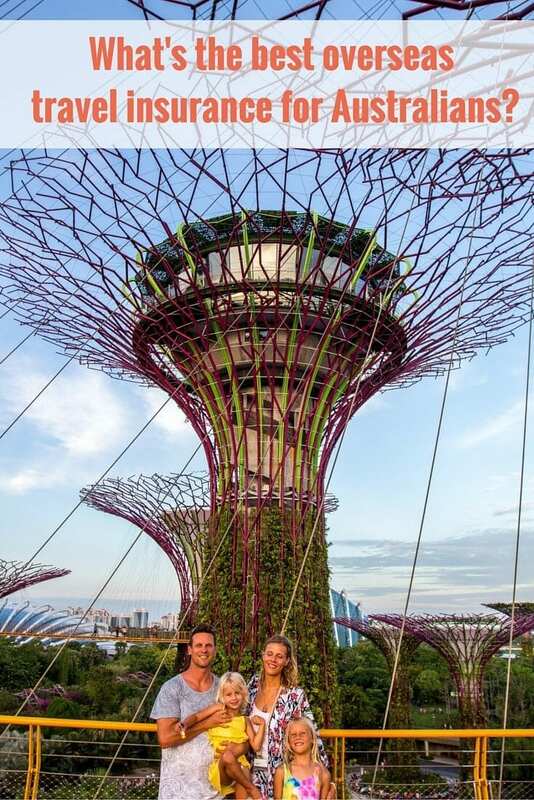 We’re diving back into a travel experience that feels almost foreign to us after two years of being almost solely focused on Australian travel. It’s exciting, but I’ll admit slightly terrifying, especially for my solo mission to Istanbul. It’s been 15 years since I’ve visited such a foreign and exotic city on my own. As someone who has travel as a constant companion, this slight trepidation I feel is so weird. I have not felt it since I was 21 and taking off for my first overseas adventure. I feel like I’m understanding our first-time adventurer readers more deeply at the moment. Travel insurance is a priority for us in preparing for our trip. I’ve been researching to find the best travel insurance for Australians travelling overseas and I feel confident I’ve found it, which I’m happy to share with you here and perhaps save you the time yourself. Although, I recommend you do your own due diligence. What is the best travel insurance for us, may not be for you. But this is a good starting point for you. Don’t wreck your head checking every travel insurance company to find the deal of the century. After the fifth one, I’d had enough. I had a pretty general picture of the coverage I was getting and the approximate price, so once I felt like I had found my comfort level around that, I quit looking. Who have we used before? We’ve used, and been happy with, CoverMore and World Nomads. So both of them were on my research list. Search comparison sites: I used Comparethemarket.com.au to compare travel insurance companies. I only used them after I had researched the three companies above as they were my trusted travel insurance companies. So I wanted to compare new ones to them. This was my strategy to save time researching individual providers, because if they did not match up to them, then I could end the research task early. If you booked your travels with your credit card, you may be entitled to travel insurance that comes with that. Be careful to read the fine print to ensure you’re adequately protected. 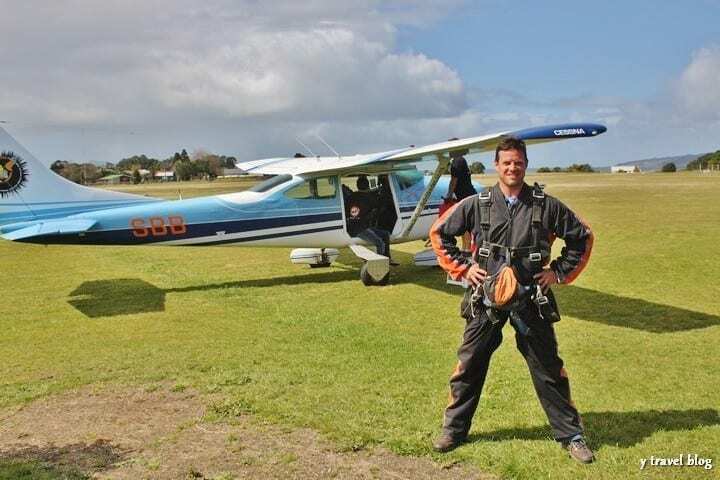 There are unlimited number of travel insurance companies in Australia, the only three we share and recommend on our blog at this time are World2Cover, World Nomads and CoverMore. From my research, these are the best three in Australia taking in price, coverage and credibility. Some of the links in this post are affiliate links, which means we may receive a small commission if you purchase travel insurance via them. 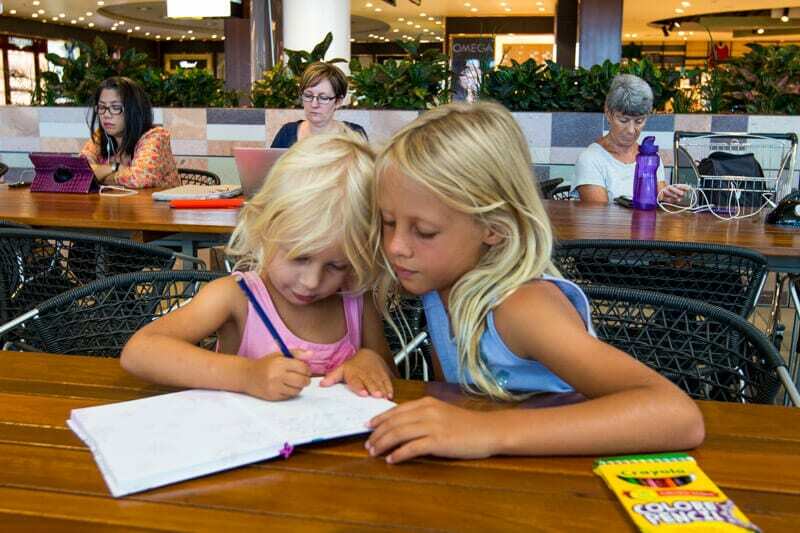 Here are a list of questions to consider researching to find the best travel insurance when travelling overseas. Domestic travel will be a little different. 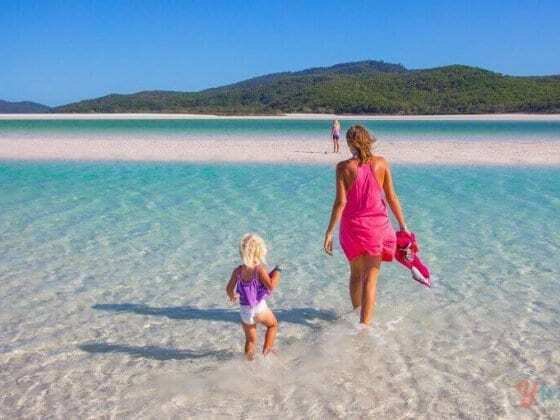 For today, we’re looking at the best travel insurance for Australian’s travelling overseas, but if you are not an Aussie these will still apply to you and World Nomads mentioned below is a travel insurance provider you can use. How safe do you feel this region is? What equipment will you be taking that may require extra insurance? camera, computer equipment etc. What’s the cancellation policy? Weigh this up with what you’re spending on your travels and what the exclusions are. 24-hour assistance, but I had to dig through the PDS to find it. Put it on the main website! Unlimited for emergency medical and dental for Covermore. Flexibility with tailor made policies. You can adjust excess, add in cancellation costs, and rental cars. Although this may mean higher premiums than the other companies if you need these. They are covered in the standard policies with the other two. I found World2Cover and World Nomads were still cheaper. I did not like how I had to dig around in the PDS to find the coverage limits for individual baggage items. Much easier to find with the other two. To be honest, I didn’t really find anything. Although, I have not experienced a claim through World2cover before so can’t speak from that angle. With World Nomads and CoverMore I have and it was fine. I discovered something very interesting just before publishing this post. I went back to double-check the quotes and included coverage for each travel insurance provider. Both World Nomads and CoverMore’s quote price had increased. I’ll show you the difference below. I noticed CoverMore’s coverage now included car rental excess, which it didn’t before, so this might be why it was such a huge increase. BUT, you can get the rental car excess through the other two policies at a much cheaper overall premium so that makes CoverMore not even in the race. I double checked World2Cover and the premium had not risen at all. In fact, for my solo trip it had decreased!! Perhaps, this might be connected to my cookies and that I had purchased insurance before so received a loyalty price. I’m not sure! Very very interesting. It increases my trust in World2Cover and decreases it in the other two. Just so you know, we have no monetary affiliation with World2Cover. They don’t even have an affiliate program. 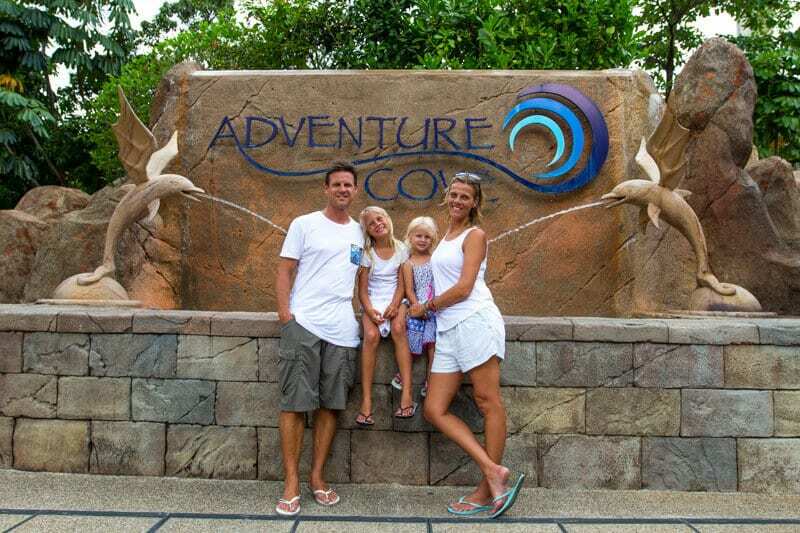 Remember, this is what I discovered was the best family travel insurance for us travelling to Singapore. 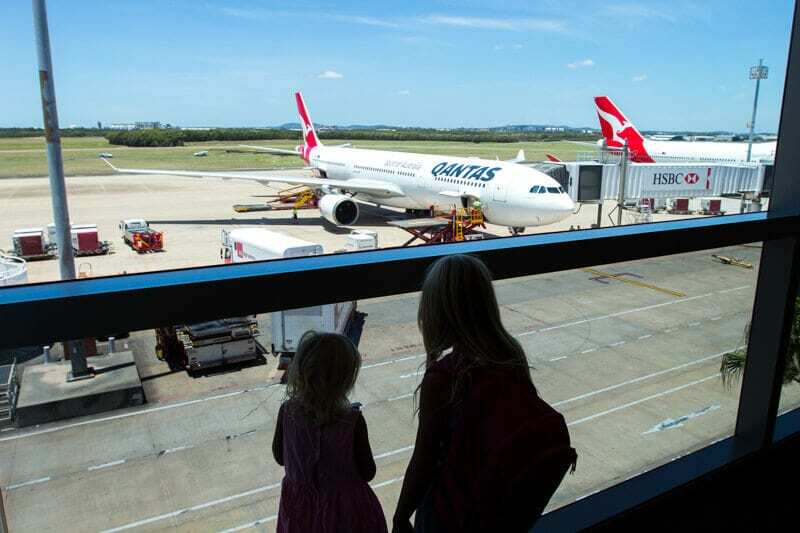 It may be different for your circumstances, what coverage you require, and where you are travelling to so please do your own research to compare travel insurance companies in Australia. 6-day coverage for a family of four. World Nomads and World2Cover give you two options. I compared the top option for both. There was only less than $10 difference for World2Cover so it was better to go with the bigger one as it offered more individual item cover. 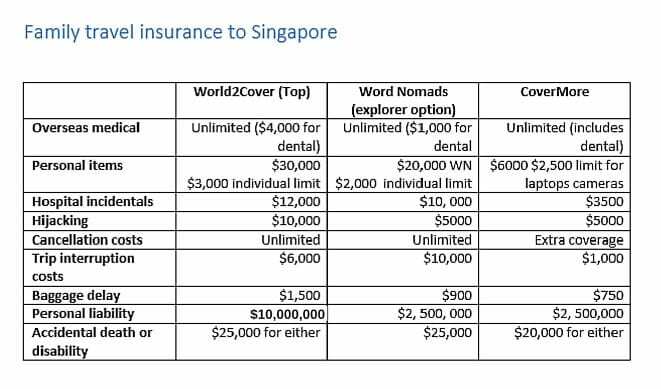 There was more than $30 price difference between World Nomads two premiums, so it’s worth investigating more for yourself to see if their top cover is worth getting for your situation. The clear winner was World2Cover, which I was expecting given they cover children for free. Although I wanted to ensure that the coverage was comparable to World Nomads and CoverMore and it was without a doubt, even better for what we needed.. 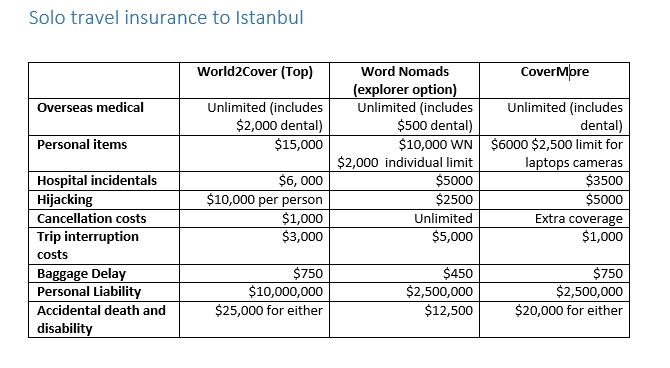 Remember, this is what I discovered was the best solo travel insurance for myself travelling to Istanbul. It may be different for your circumstances, what coverage you require, and where you are travelling to so please do your own research to compare travel insurance companies in Australia. World2cover again is the clear winner – lowest price as well as great coverage that best suited the protection I needed. I thought it would be the best insurance for families because kids travelled for free. Really nice surprise. World2Cover will be my Australian travel insurance provider from now on although I will always be double checking in case my travel insurance needs change. 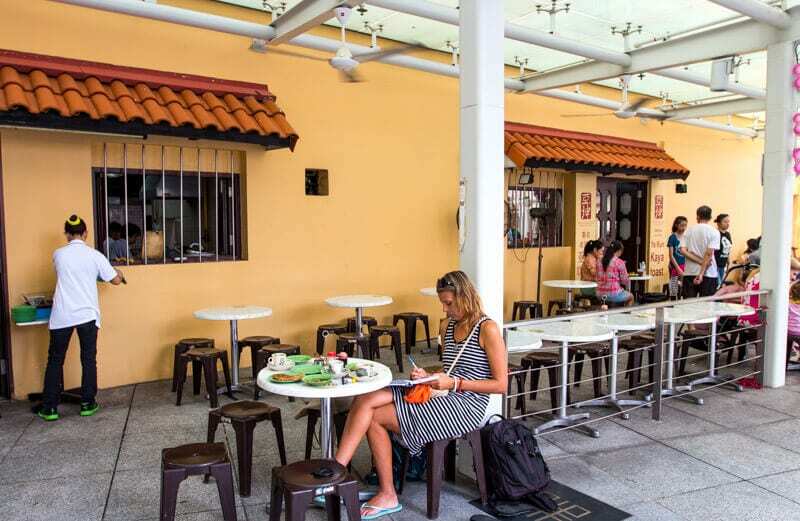 Note, if you are a non-Australian traveller, we recommend World Nomads. They cover travellers no matter their country of origin. Their convenience, coverage and price makes them a clear winner in our eyes. Have you found any other travel insurance companies in Australia to compare? Any insights or tips to add? Great post! When we did make our comparison (2 adults) for an annual worldwide multi trip travel insurance we found that 1cover did have the best deal for us. Not a lot of insurance company’s allow you to travel up to 90 days on a multi travel policy. Great post. I’ve used both World Nomads and Travel Insurance Direct (both owned by the same company) in the past. World Nomads were great and had a range coverage, but eventually, to cover the camera equipment that I had bought became too expensive, so went with TID. I’ll look into separate insurance for my camera equipment in future (domestic and international) and look at coverage just for travel. Oh that’s a great idea. We might look into that as well for our US trip in case our camera equipment increases, which I’m thinking it will! This couldn’t have been better timed! I’m about to go on a five week trip to the US, and even the premium World2Cover is cheaper than the quote I’d received from World Nomads. Awesome! So glad I got it to you in time. Great for me to know as well as I haven’t researched the US yet, but I was hoping it would be cheaper! Yay! Are these insurances for only land travelers? We are thinking of cruising around Australia and the cruise line offers travel insurance. Do you always take insurance because you have kids? Should we look at other insurances? We want to cruise and see what we may want to come back and do on our own in Australia. I’m not sure about cruising but I’d imagine they cover it. Best to go through the quote process and see what it comes back with for you. 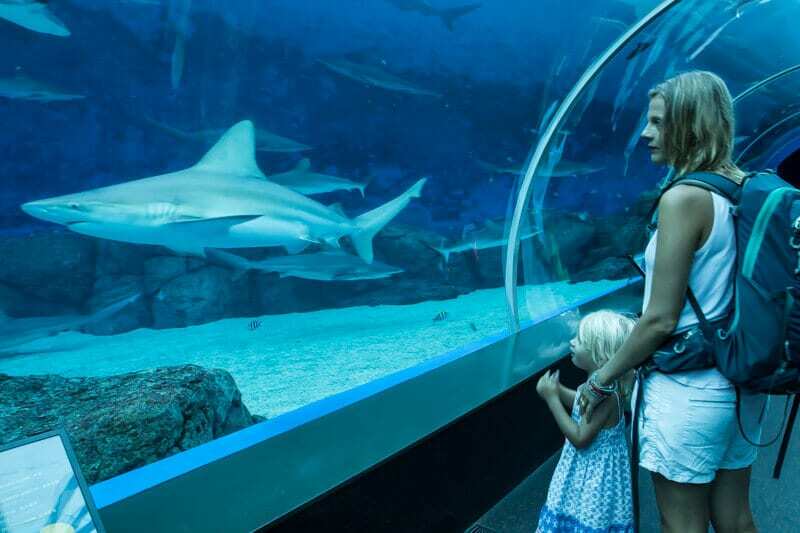 We take insurance out even when we travel without the kids. We carry too much camera and computer equipment. It’s not worth the risk of that being damaged. I get the annual plan with Travel Insurance Direct. It’s a 12 month policy that covers the whole family. Only worth it if you do a few trips a year though. Oh cool! Thanks for the tip Darren. I might check that one out. Check out Travel Insurance Direct when you start nomad life in the US. They cover the most amount of electronics we could find and are a great price. I travel full time as I am a home and pet sitter, homeless so actually do in fact travel constantly. My next trip to the USA for 6 months is planned for 1st March 2017, but I really need coverage for 12 months at a time regardless where I lay my head or how I travel. Here in Australia I use my own car, but in the States I drive the family’s vehicle. The owners are happy for me to be on their own insurance. I travel by train, bus, car and plane often as I move from one sit to another. Will I be able to get a coverage that has me in Australia and then the States for 6 months without stopping and starting my coverage? I really am very impressed with your research and I am glad to see a new company on the block. Looking forward to you and your followers input to my issue. Thanks Francien. I can’t answer your question as I’m unsure to how the policy coverage works in your situation. I’d contact World2Cover directly and I’m sure they can help you. Thank you Caz, I have made contact with them. But I have been thinking about when I am in Australia I am covered by TAC, full comprehensive car insurance, Health Care Card, ability to attend Emergency Departments in Public Hospitals all over Australia as well as the owner’s home insurance. So I really only need to cover myself when I leave Australia’s shores. Great post! As a travel enthusiast it´s always best to be safe when it comes to Travel Insurance. Love the blog and all the great tips you provide!